Chicco makes great baby products to help make parents lives easier. Among these are strollers that are easy to use and reliable. In the comparison of Chicco Viaro stroller vs Chicco Bravo stroller, which is the winner? 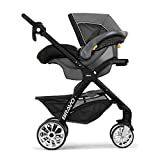 Personally, the Chicco Bravo is my choice due to the functionality of having an adjustable height handle and it’s conversion to a frame-only car seat carrier. It also has a really steady base due to having 4 wheels. That said, they both have some great features with a lot of similarities and also some differences. Let’s check them out in detail and talk about the different features. The Chicco Viaro is a sporty, lightweight stroller that accommodates children from 4-50 lbs. Because it is compatible with the Chicco Keyfit carseat, it can be used with babies 4-30 lbs with the car seat. Its large canopy protects children from the elements. It also has a good size basket underneath for all the essentials and then some. For our detailed review of the Chicco Viaro stroller and travel system, click here. For an overview of the Chicco Viaro stroller as part of the travel system, check out the video from Chicco below. The Chicco Bravo is an excellent choice for a stroller for your baby. It features a height adjustable handle to accommodate parents of different heights and comfortable ride for the baby. It has a unique design that transforms it into a sleek, stylish car seat carrier. The Chicco Bravo can be used from birth (with a car seat) up to 50 lbs. For an overview of the Chicco Bravo stroller as part of the travel system, check out the video from Chicco below. Both the Chicco Viaro and the Chicco Bravo are compatible with the Chicco Keyfit car seat line. There is no need for a separate attachment to be able to click the Chicco Keyfit car seat into either stroller, the mechanism is built into the stroller. The car seat inserts into the stroller effortlessly and clicks into place. 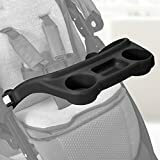 To remove it, you would pull the handle just as you would removing it from the car seat base in the car. Either Chicco stroller makes a fantastic stroller for a travel system. Both the Chicco Viaro and the Chicco Bravo have a large basket underneath that can be accessed from the front or the back of the stroller. This is a really helpful feature that I love. 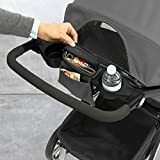 Instead of stopping what you’re doing and going around to the back of the stroller to access the items, the foot panel can be easily flipped up to reveal contents instead. This is a great time saver for parents! This is also great for toddlers when out and about, who can reach down to grab a snack or other item. 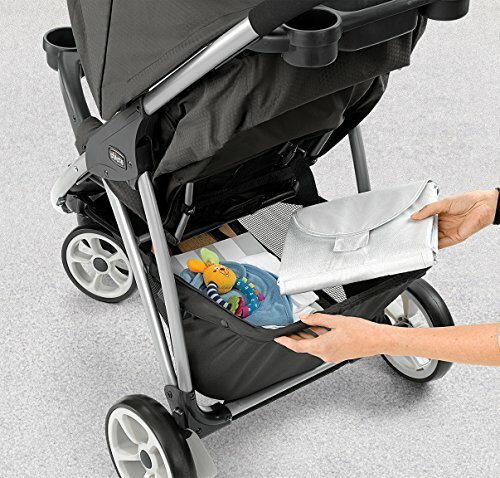 Both the Chicco Viaro stroller and the Chicco Bravo stroller feature the one-handed fold. That means if you’re holding your baby with one arm, you can easily pull the lever to fold the stroller with the other hand. The stroller folds and stays upright, balancing on its wheels. This is so incredibly helpful because we all know getting babies in and out of strollers can be cumbersome. The same goes for the unfold as well. When the stroller is folded and sitting upright, it’s just as easy and simple to unfold it with one hand. Win-win! Chicco Viaro has 3 wheels and the Chicco Bravo has 4 wheels. While the 3 wheels makes the Chicco Viaro more maneuverable, having 4 wheels makes the Chicco Bravo more stable. The stroller is less likely to tip over when the base sits on 4 wheels. And while this situation is unlikely to happen with ANY stroller, it’s still worth a consideration. That said, the maneuverability of the Chicco Viaro is excellent due to its 3 wheel design. Many parents said that they had no problem guiding the stroller with one hand while doing something else with the other. The handle on the Chicco Viaro is not height adjustable but the handle on the Chicco Bravo is. The Chicco Viaro’s handlebar is set at 40″. The handlebar of the Chicco Bravo has a range that goes from 36.5″ to 42″. Most people should feel comfortable pushing the Chicco Viaro stroller as it’s handlebar height is appropriately in the middle range. So while most people would not have a problem with the handle height of the Chicco Viaro, if you or another caregiver are really tall, you might be better off with a handle that adjusts appropriately. The one major difference between the Chicco Viaro and the Chicco Bravo stroller is that the Viaro does not disassemble in any way. It just stays the same throughout all the stages – used with a car seat and then when baby gets older, without the car seat. The Chicco Bravo, however, does disassemble. The transformation is pretty neat. The canopy can be taken off, and the seat part can be taken off. What results is a sleek, lightweight, aluminum frame that is perfect for wheeling around a car seat. This transformation helps take off excess weight because let’s face it, the car seat is heavy enough to lug around by itself. If you choose to do so, just the canopy can be reattached to help provide shade for the baby during trips with the stroller and car seat. 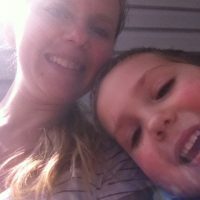 Then, when the baby is older and ready to move to the stroller to be used without the car seat, all you have to do is reattach the seat portion and you are good to go. The Chicco Viaro has a cord recline which allows it to put the recline at a multitude of positions. The Chicco Bravo, on the other hand, has 3 fixed positions for recline. As far as brakes go, the Chicco Viaro and Chicco Bravo have slightly different systems. The Chicco Viaro features “independent toe tap locking brakes”. This means that the brakes are not linked in any way and you would be locking each one independently. 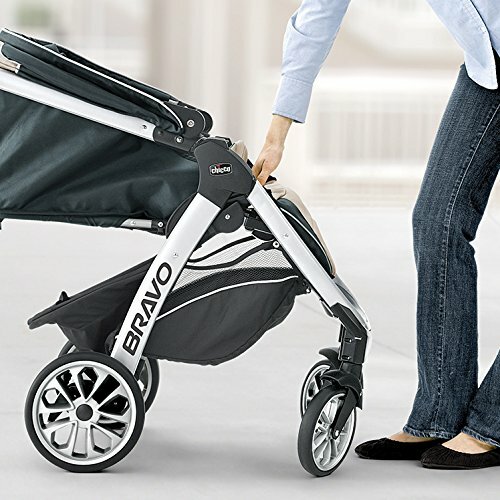 To contrast, the Chicco Bravo stroller uses a linked brake system. This means that when you push a brake pedal on one side, both brakes lock simultaneously. However, be sure to check that the stroller brakes are engaged by trying to move the stroller. The Chicco Bravo features an all-wheel suspension system. It allows the stroller to go over bumps and uneven sidewalk terrain without disturbing the baby too much. The Chicco Viaro, on the other hand, has a swiveling front wheel and front wheel suspension. So while you may not have the suspension on all the wheels, you do have more maneuverability with the Chicco Viaro. 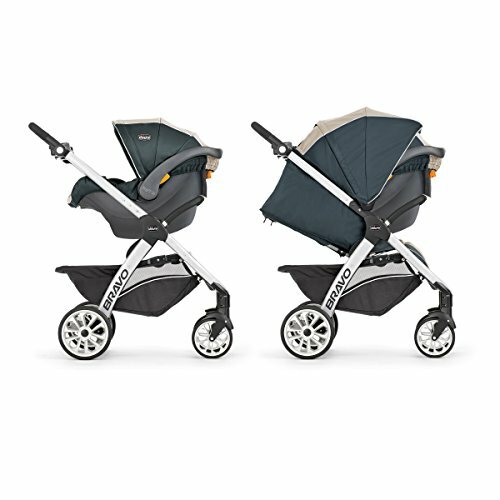 The Chicco Viaro has a 2 panel canopy that is a generous size. 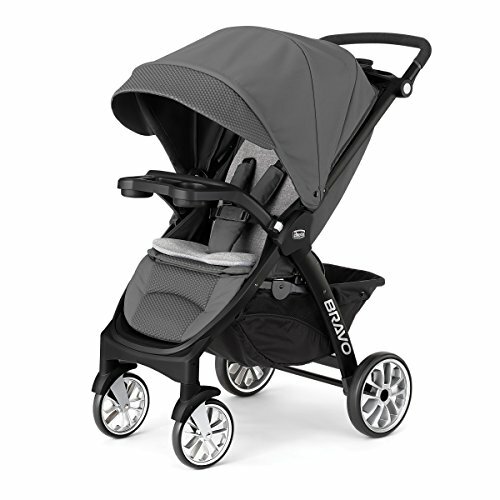 The Chicco Bravo exceeds that with a 3 panel canopy that provides even further coverage. When used to carry car seats, both strollers’ canopies will fully cover the car seat when combined with the car seat canopy to overlap. The Chicco Bravo does not include a child snack tray. It can be purchased separately here, but be sure to check out reviews to judge for yourself. Many reviews had negative things to say such as the tray is up too high and unreachable by child. However, a few parents liked the snack tray and it worked for their child. Conversely, the Chicco Viaro DOES come with a snack tray included. The snack tray also has two cup holders for the child’s drinks, etc. I will say that this would be a big consideration for me. Having a snack tray is great for long trips out and about, like at the zoo. I would put snacks on the tray or clip toys to them to keep my son occupied when he was getting bored. So not having a snack tray would really be a bummer. 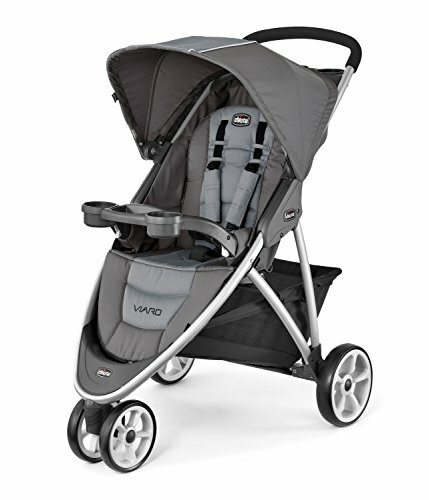 The Chicco Viaro is a great lightweight stroller, weighing in at just 18 lbs. The Chicco Bravo is more your typical stroller, weighing in at 23 lbs. 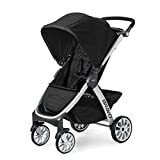 We all know that the baby days are filled with carrying around baby gear, so if you are going to be frequently picking up this stroller to move it, weight might be a consideration. Both stroller frames are made from strong but lightweight aluminum material. One feature that bummed out a lot of parents was that the Chicco Viaro does not lock in the folded position. Meaning it folds down, but when trying to transport it folded, it sometimes tries to unfold in the process. The fact that it doesn’t lock makes it awkward to move around or load and unload out of the car. I love the Chicco Bravo stroller from birth on, especially in use as a frame only car seat carrier. If you are in the market for a maneuverable, sporty stroller for older babies, then the Chicco Viaro might be a good fit for you. Chicco Bravo Trio vs. Britax B Agile & B Safe 35 Comparison: Which is more user friendly?